The ibis Nîmes Ouest team welcomes you to their hotel where the Camargue region, the Cévennes mountains and the sea meet... Lolo, Manon, Laura, Michel, Karine, Mélanie, Grég, Carole, Gaetan, Béné, Andrea, Dimsou, Isa: our wonderful team at your service! 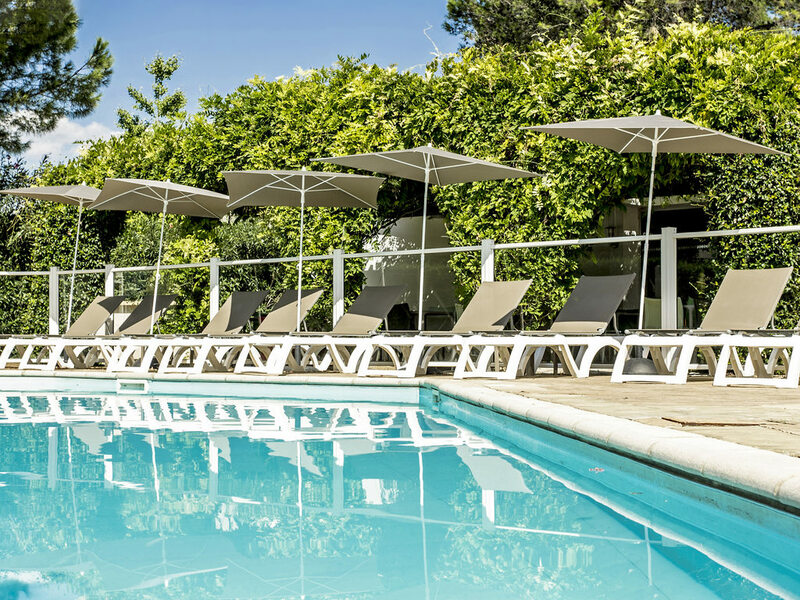 The ibis Nîmes Ouest hotel is located 12 km from the airport and 4 km from the centre of Nîmes. It has 108 air-conditioned rooms available for booking, with Wifi Internet access. A restaurant, a terrace, a swimming pool, a bar, a snack service 24/24 andfr ee parking are at your disposal. You can book 4 seminar rooms. For sports fans, golf and tennis can be played just a few km away. Le Pont du Gard and the legendary town of Uzès are respectively 25 km and 35 km away. Pets accepted. Just 1.9 miles from the historic center. Discover the "French Rome" or Nemausus as it was known in ancient times and experience all the roman features that our town has to offer, including the Magne tower, the Maison Carrée and the arenas. Wszystko ok., qle w momencie przyjazdu okazało się że są kłopoty z pokojem dla trzech osób, choć taki był rezerwowany. Ostatecznie wszysko skończyło się dobrze - dostaliśmy pokój rodzinny, ale niepotrzebnae zamiezanie i stres przy meldowaniu był.